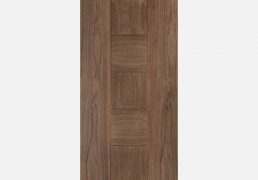 Walnut Collection – rich and warm, walnut has a beautiful versatile finish. 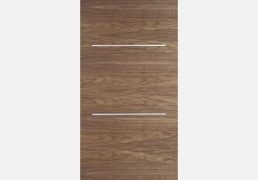 Our Walnut doors are pre-finished 35mm thick, except for metric, which are 40mm. Fire check doors are 44mm thick. 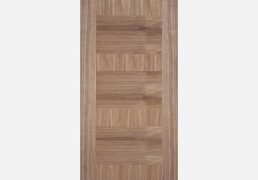 A chracterful pre-finished Walnut wood grain is framed by two decorative vertical bars to create the modern Alcatraz door design. 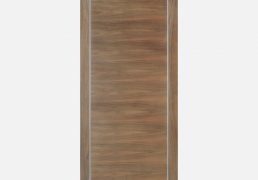 A large easy clean laminated frost panel is framed with decorative vertical bars and a pre-finished Walnut in this modern Alcatraz design. 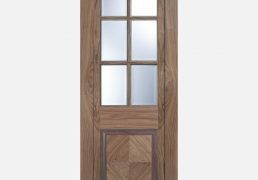 This attractive Barcelona door includes six clear bevelled glazed panels and a shaped raised panel in a pre-finished Walnut. 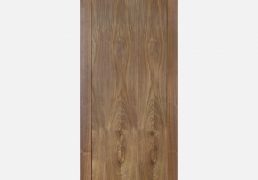 The pre-finished Walnut Catalonia door features square ladder style centre panels for a timeless and versatile design. 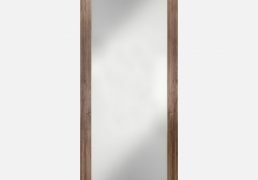 Two shaped raised panels feature distinctive pre-finished Walnut wood grain patterns, with two decorative vertical bars either side. 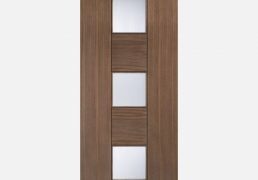 The Monaco door features centre panels in a ladder-style effect with two side panels in a contrasting pre-finished Walnut wood grain. 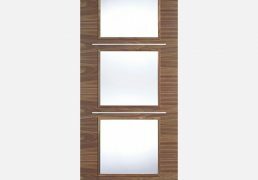 Four centre, clear glazed, slim panels sit between contrasting solid panels with a walnut finish. 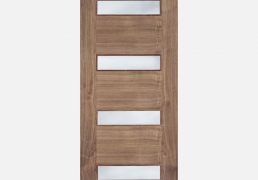 The handsome Murcia door design features a distinctive pre-finished Walnut wood grain pattern with four decorative horizontal bars. Three clear glazed panels are framed by decorative horizontal bars, with a pre-finished Walnut and raised moulding on both sides. 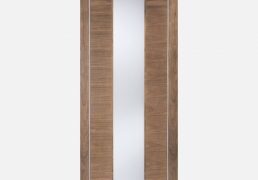 Suitable for almost any room, the Porto door design features a large centre panel in a contrasting pre-finished Walnut wood grain pattern. 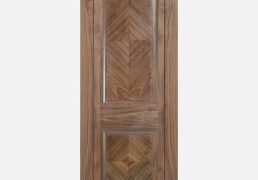 A large frosted glazed panel is framed in a pre-finished Walnut wood grain to create this practical Porto Glazed door design.